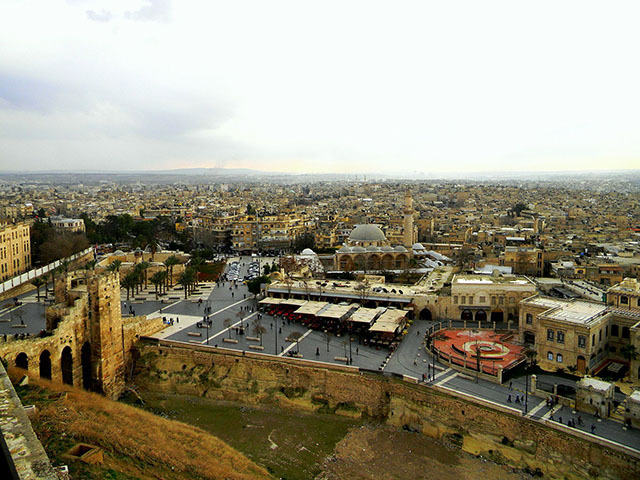 The Old City of Aleppo is the historic city centre of Aleppo, Syria. Many districts of the ancient city remained essentially unchanged since its construction during the 12th to the 16th century. 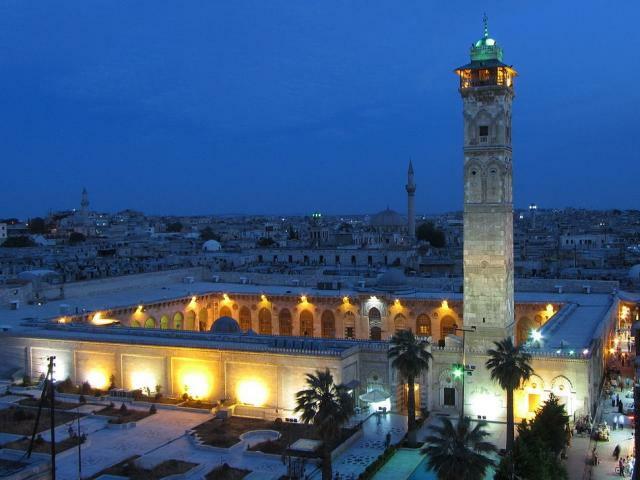 Characterized by its Citadel, large mansions, narrow alleys, covered souqs and ancient caravanserais, the Ancient City of Aleppo became a UNESCO World Heritage Site in 1986. 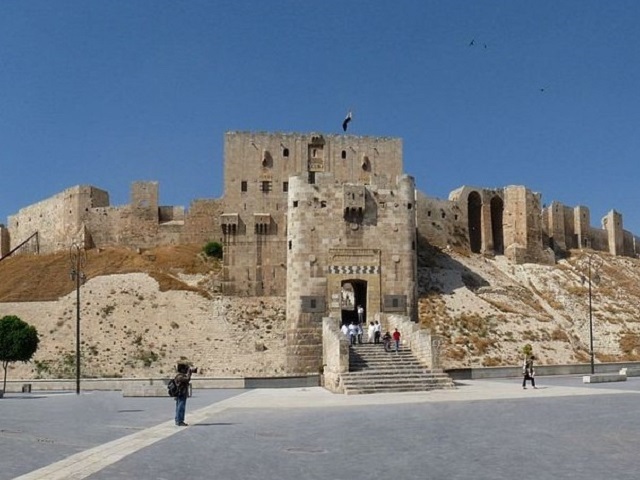 Many sections in the Al-Madina Souq and other medieval buildings in the ancient city were destroyed and ruined or burnt as a result of Syrian war.